A book of recipes that follow the seasons and offer readers simple and easy alternatives to improve their health and lead a more balanced lifestyle. Based on the principles of traditional Chinese medicine, Silvia Riolobos teaches us to choose the foods that are best for our body throughout the course of the year, and at the same time creates an array of irresistible dishes that can be combined into simple meals perfect for all moments of the day. Through her transformative personal experience, Silvia Riolobos invites readers to try her nutritious and delicious dishes to see how easy and fast it is to follow a healthy diet. 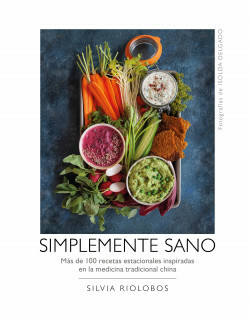 The first book of recipes inspired by the principles of traditional Chinese medicine, one of the oldest medical systems in the East and one that is now experiencing a renaissance in the West.